Betty Release | Eco Barge Clean Seas Inc.
On Saturday 1st September, beautiful Betty, the juvenile Green Turtle was release back into the Whitsunday waters off Cannonvale Beach. She had been in care since June 2018 and had made a full recovery. 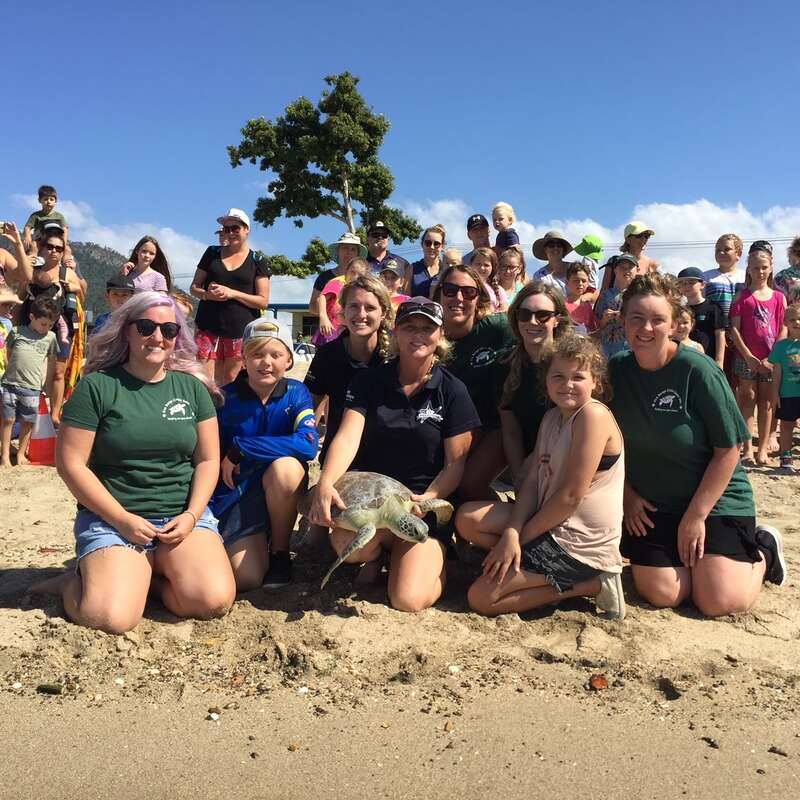 This release was part of Eco Barge’s second Eco Ambassador event for 2018, where the local kids and students were invited to come to Eco HQ to learn about marine debris, and the turtles we have in care. We then moved to Cannonvale Beach so they could all watch the release.